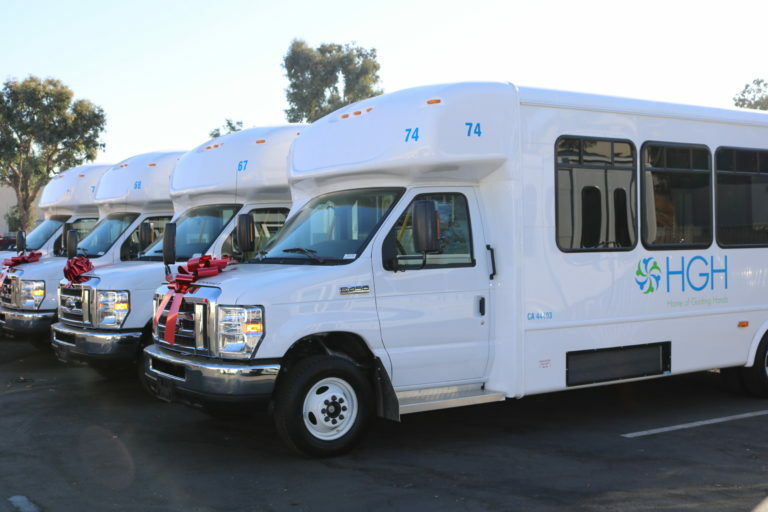 Home of Guiding Hands, which supports people with intellectual disabilities, received 13 new buses and six minivans Monday as part of $7 million in transportation grants issued by the San Diego Association of Governments. Home of Guiding Hands provides 430 daily rides to more than 230 people with intellectual or physical disabilities in San Diego, National City, Chula Vista, San Ysidro, El Cajon, Santee, La Mesa and Lakeside. A half-dozen of the new buses replace ones that were purchased more than a decade ago. The other seven will allow Home of Guiding Hands to expand its transportation services to more than 300 people each day, according to SANDAG. SANDAG also awarded vehicles to Facilitating Access to Coordinated Transportation, Jewish Family Service of San Diego, Metropolitan Transit System, Noah Homes, San Ysidro Health Center, Sharp Healthcare Foundation and St. Madeleine’s Sophie Center. SANDAG is the county’s primary public planning and transportation agency.